Call into Currumbin Valley Brewing for a tour and you'll soon find it jumping all over the place. One moment, you'll have Pete Wheldon (pictured above) and Luke Ronalds showing off their brewhouse, the next Pete is pointing out the spring they source all their water from, then you'll be regaled with tales of the resident python that’s been hanging around recently. Barely a twenty minute drive from the high rises of the Gold Coast, the brewery is based at Pete’s home, a former banana farm with far-reaching views of the surrounding subtropical rainforest and providing plenty of space in which to grow fruit for their barrel-aged sours – beers that remain some time away from a brewery that's been a long time in the making. Pete – better known as Smokey in the beer world – and Luke met at a Gold Coast homebrewers club before brewing their first commercial release together – a big and bold double IPA called Look Out! – at Black Hops back in September 2016. 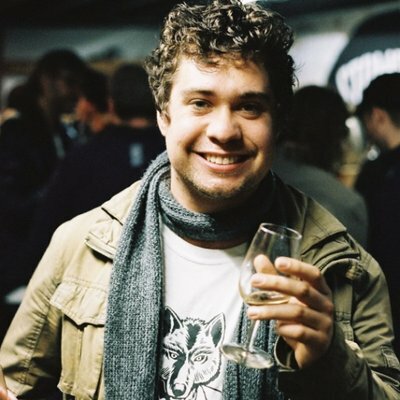 They soon started brewing across Queensland before ending up at the then freshly-opened Ballistic Beer in Sainsbury, where Pete became their first sales rep.
“We were brewing there and they didn’t have anyone selling their beer so I said, 'Why don’t I sell my beer and yours? ',” he says. 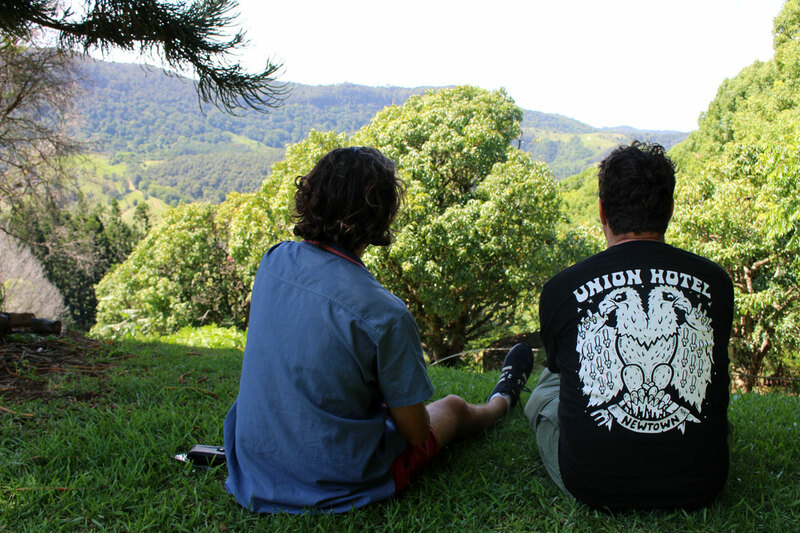 Pete "Smokey" Wheldon and Luke Ronalds of Currumbin Valley Brewing. Photo pilfered from their website. But setting down roots of their own was always the plan and, though they looked elsewhere, the former banana farm was where they ended up. 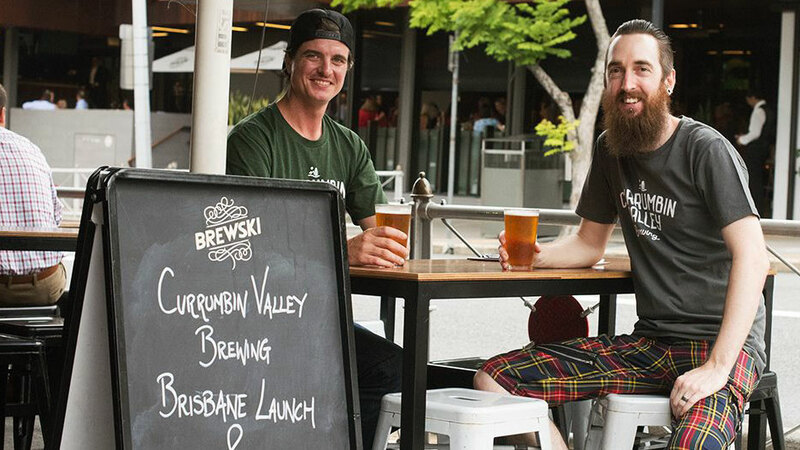 They first fired up their brewery in September 2018 and launched the Currumbin Local pale ale – and their vivid branding (see an example below) – into the world. It doesn't take long to realise Luke’s not kidding when he mentions bootstraps: parts of the brewery are repurposed dairy equipment and most of their power comes from converted waste oil Pete picks up from nearby mechanics. Post-banana farming days, the land had operated as a spring water plant, with the old bottling site where they brew. Today, just a fraction of the original banana plants remain but there’s also some 50 mango plants plus paw paw, lemon myrtle and custard apples onsite, all of which have been growing for years. Since his home became a brewery, Pete’s been busy planting feijoas, grumichama (Brazilian cherries), Jambolan plum, cumquat, pecans and mulberries too, with more to follow. “It’s all planned to be chucked in barrels with beer if we’re lucky,” Pete says. To date, just one of the brewery’s beers has put their homegrown produce front and centre: a kettle sour featuring mango and lemon myrtle. It’s one that’s been quick to find fans too; conversations around Brisbane and the Gold Coast about what’s new and interesting in beer almost inevitably lead to someone mentioning Currumbin. Your author (right) making the most of the views from the farm. When the weather cools down, Pete and Luke will see what yeast and bacteria they can wrangle to edge their ingredients closer to being all sourced on the farm. It makes for a unique offering amid Queensland’s booming brewery scene where locally made barrel-aged beers are still a relatively rare sight. What's more, few breweries in the country can lay claim to brewing such beers with fruit grown on their own farm. “It’s the kind of style I like to drink," Luke says. "Mainly it’s the fruited sours that I’ve been focusing on homebrewing over the last few years." While a brewery bar isn’t an option, once barrel stocks have been built up, the plan is to find a barrel room people can visit elsewhere in the region. Wherever it ends up being located, it will do well to match the charms of the brewery. 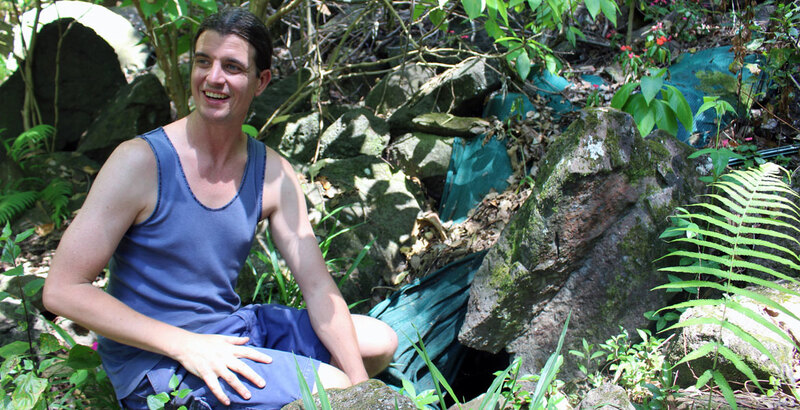 On the way out of that farm, Pete suggests taking a swim around a waterfall on his property. Just how big was that python again?